← The hit play of the summer you won’t want to miss! 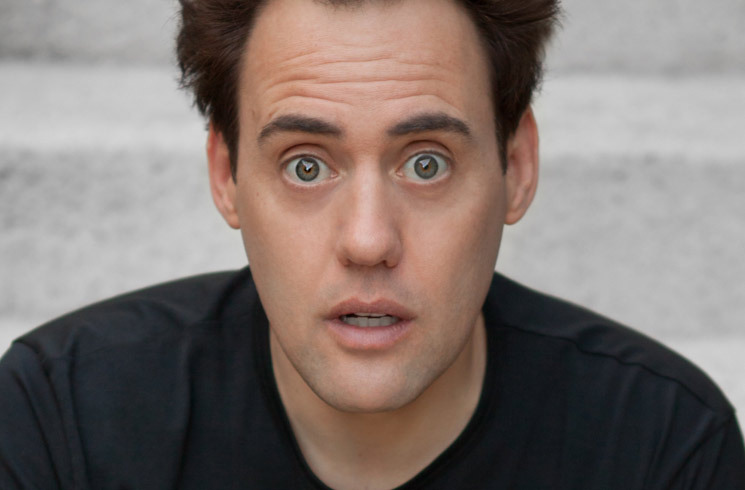 “Uh-oh” says Orny Adams. He has spotted my tape recorder. “Does that make you nervous?” I ask. “Just forget about it” I try. He doesn’t seem convinced, but quickly adjusts. We are sitting outside on a gorgeous July morning at the Hyatt Hotel in Montreal, the hub of Just For Laughs activity. As I waited for Orny, I watched Gad Elmaleh (who just opened for Seinfeld) film his Netflix special. Sugar Sammy walked by. This makes me laugh because I feel the same way. “Like in a hotel. When they clean the room. I leave 3 of them and it doesn’t seem like enough” he explains. “That’s very generous” I tell him. “It just feels like 3 coins. It just doesn’t feel like enough” he insists. “It’s generous!” I assure him. “Yeah? Alright.” He is ready for the next topic. It’s 15 years later and Orny is now a regular performer at Just For Laughs. A few days earlier I laughed nonstop during his hour long show More Than Loud. It was my second time seeing him live, and he killed it. Again. His spiky hair points up to the sky like antennas. He is constantly listening and observing. He talks to other people as we chat. “When are you coming to Belgium?” our neighbors ask Orny. He reads his phone. He makes notes. He is wearing a baby blue golf shirt, beige linen pants and matching suede Converse. “See, my pants match my shoes!” He looks relaxed and in shape. He is part man about town, and part lovable wired nut ball. He keeps me laughing. Orny asks for my impressions of the show. Luckily, I laughed so much during his set that I decided to write down all his jokes afterwards. In one hilarious bit, he admits he can get so competitive at the grocery store, that if he thinks the lady next to him has the best blueberries, he’ll steal hers, and then replace them with his own carton. I totally relate. Well, not the stealing part, but I’ve considered it. “O you’re right, I said that.” He writes it down. Orny is excited because on September 9th, he’ll be taping his one-hour Live Showtime Special in North Hollywood. The air date is TBD but if you will be in LA, you can get your tickets here. 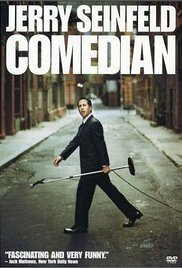 Comedian was an inside look at Jerry Seinfeld’s struggle to put together a one hour stand up routine fresh off the Seinfeld finale. Orny may have been “famous for not being famous” when his star didn’t rise as fast as some thought, but now he has almost half a million followers on social media. He is famous to teens the world over for playing the loud and loveable Coach Finstock on the mega hit MTV series Teen Wolf. After The Coach’s last episode was filmed, he tweeted that filming it was particularly difficult. 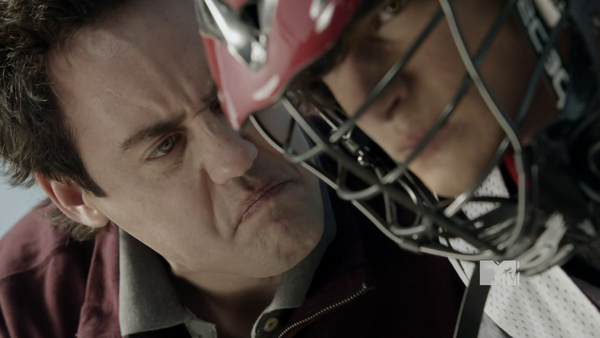 Orny as The Coach in Teen Wolf. As I exit the hotel, I can hear Orny talking. He is happily surrounded by a big group of people at the elevator. I wonder how long it takes him to get back up to his room. 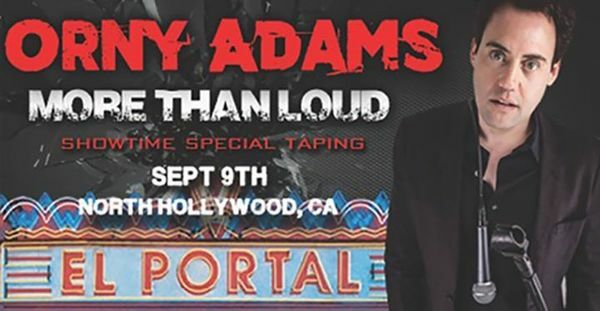 Get tickets to Orny’s Tour and LIVE Showtime Special More Than Loud here! 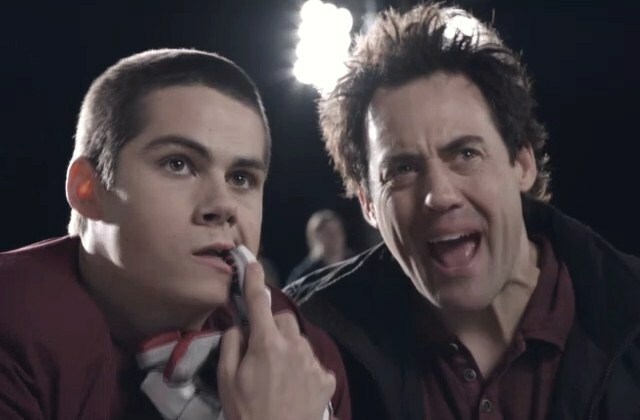 Get Teen Wolf News here! Get more details on Just For Laughs here with leader Bruce Hills.